September 24, 2015, Seattle, Washington. Approximately 11 a.m.
A motor coach full of international exchange students from North Seattle College is traveling southbound on a sightseeing trip as part of student orientation. Most of the students are teenagers. They meet, talk, and start to make friends while visiting the sites in their new home city. They are passing candy around the bus. 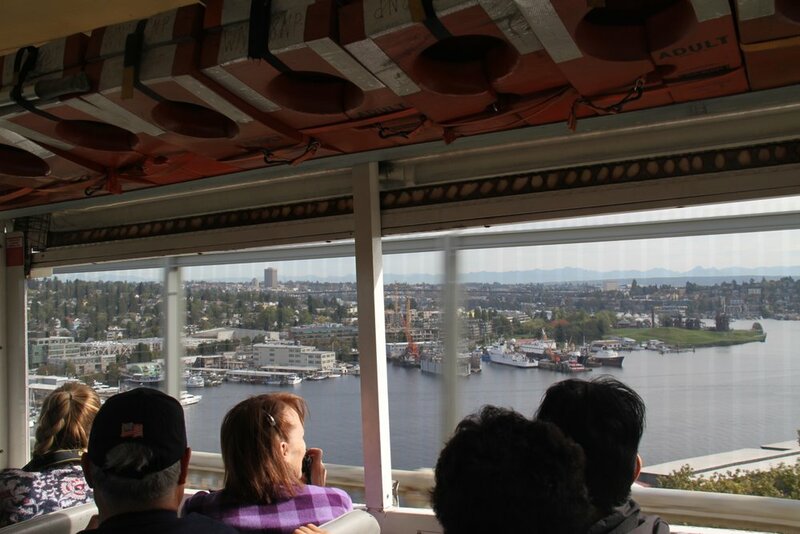 An amphibious “Duck” vehicle full of tourists from all over the country and the world is traveling northbound on Seattle’s Aurora Bridge, a national historic site over Lake Washington. Music is blaring around the driver’s ebullient narration. World War II amphibious vehicles turned into a “party on wheels.” The driver tells his passengers to look to the right—there is a splendid view of Lake Union and the Cascades. Photo taken right before the crash. Suddenly the Duck’s axle fractures and the driver loses steering and braking. The vehicle swerves left across the center line. View from the bus as the Duck crosses the center line. The prow of the Duck boat pierces the side of the motor coach at 35 miles per hour, then propels the Duck upward. Coming back down, the Duck tips to its side, dumping out eleven passengers, before finally coming to a rest on three of its wheels. View from a trailing bus. In the moments before anyone could comprehend the carnage, the entire bridge was silent, except for the discordant echo of the Duck’s “party on wheels” music, still playing.